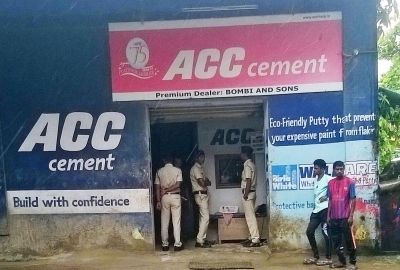 On the eve of Chovoth, the crime branch of Goa police has raided establishments of Nitin Naik, a close accomplice of former chief minister Digambar Kamat. Crime branch SP Kartik Kashyap confirmed that the police have a strong evidence against Naik, in connection with the Louis Berger bribery case. According to Kashyap, Naik is a known front of Digambar Kamat and the police have a strong information regarding his Benami transactions. The police teams have raided Naik’s Margao house, flat, office as well as his cement godown in Comba. The police suspect that all the financial transactions are directly related to Kamat. Kamat, the Margao MLA of Congress, is presently accused in a bribery case, along with former PWD minister Churchill Alemao. It is a fact that the company paid an amount to the ministers. But the police will not be able to prove anything. The entire investigation is going on is on the basis of hear say and nothing else. The police R Trying to fool the Goans. There r many ministers corrupt in the present cabinet also. Why the police should waitt for a complaint to take action against them. People of Goa R fully aware of all this. But the Goans hv patience. That's the reason the corruption in Goa in rising at Great height.